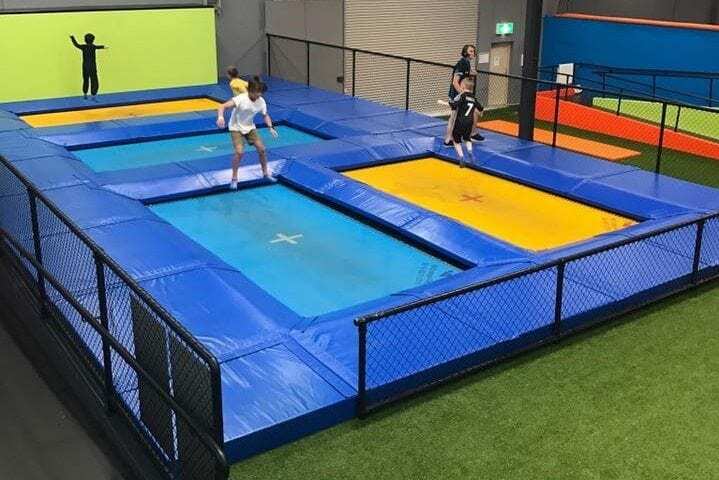 Rebound Port Kennedy – WA’s newest indoor trampoline park has opened in Port Kennedy and it is awesome. The brand new arena runs hourly sessions which are unbelievable, there is such a buzz and energy there, it just makes you want to jump! 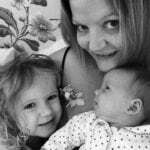 I took my three year old but I’m so going back to try it out for myself or have a go at the excerise classes. The staff are amazing with the kids and extreamly professional. There is a strong message on safety, encouraging everyone to jump within their limits. 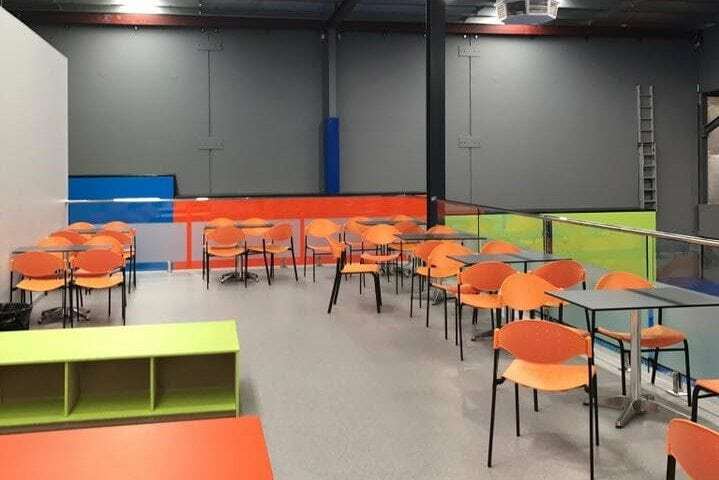 Each session starts with a briefing about the trampoline park’s rules to keep all jumpers safe and maximise the fun. 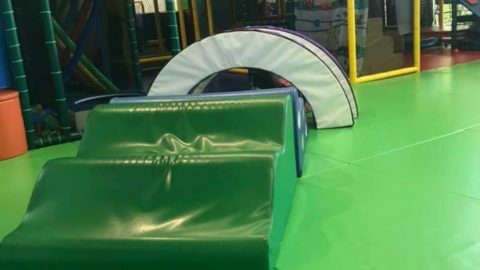 The arena has various sections where you can try and defy gravity, it’s such an exciting experience and will totally wear your little ones out! 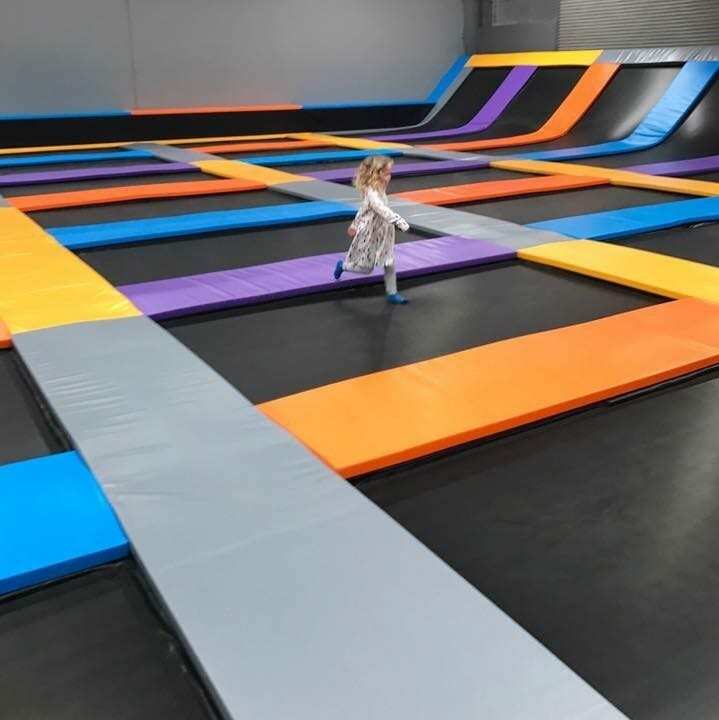 The free bounce area in the main court has 30 interconnected trampolines for you to jump, travel across and experiment on. 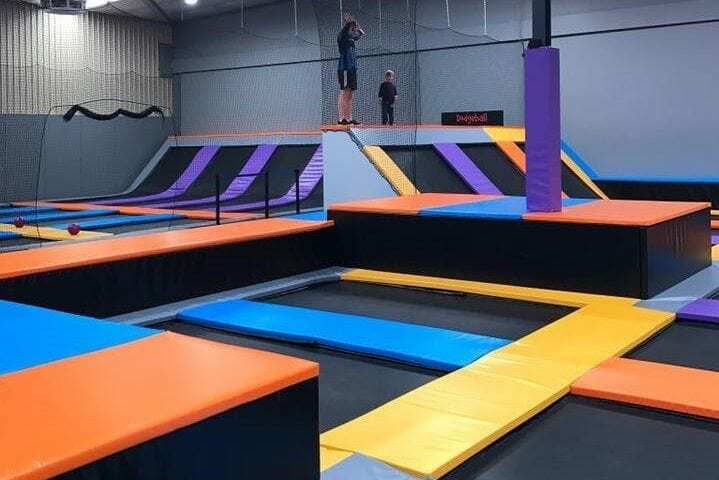 For the more advanced jumpers over 125cm tall there are performance trampolines, these are of Olympic standards and provide a dedicated area for those who can bust a move or somersault through the air. This area is complete with a performance wall, see if you can run the wall! 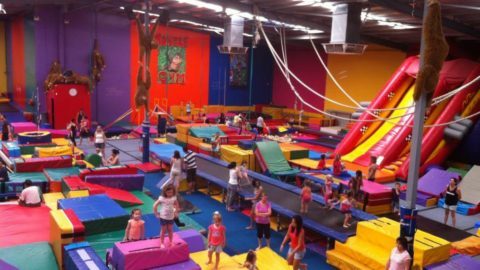 There are also two 13m tumble runs for those budding gymnasts and cheerleaders. 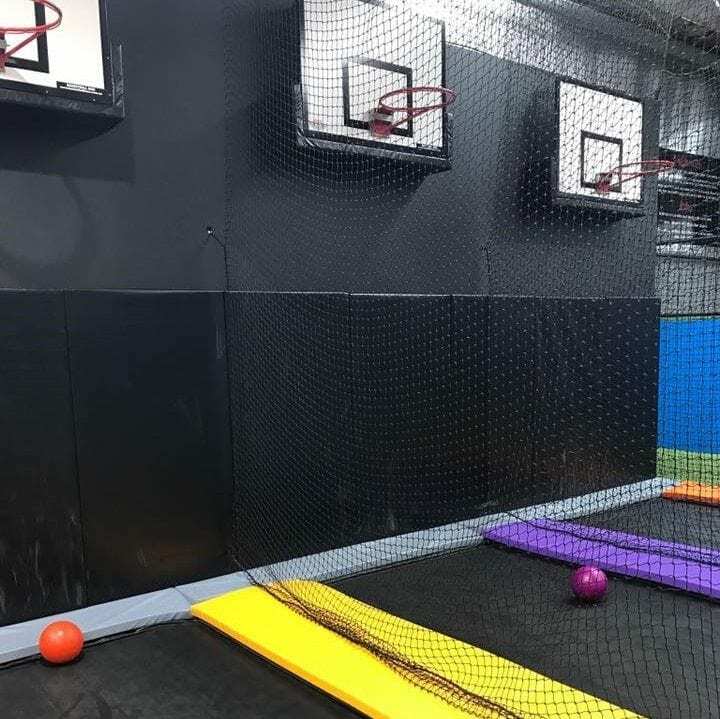 If you fancy a bit of fun there is dodge ball, up to 16 player can use the trampolines in two teams. 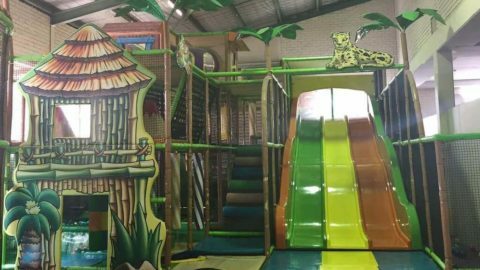 It’s a fast and furious game, great for a bit of family fun or team building. 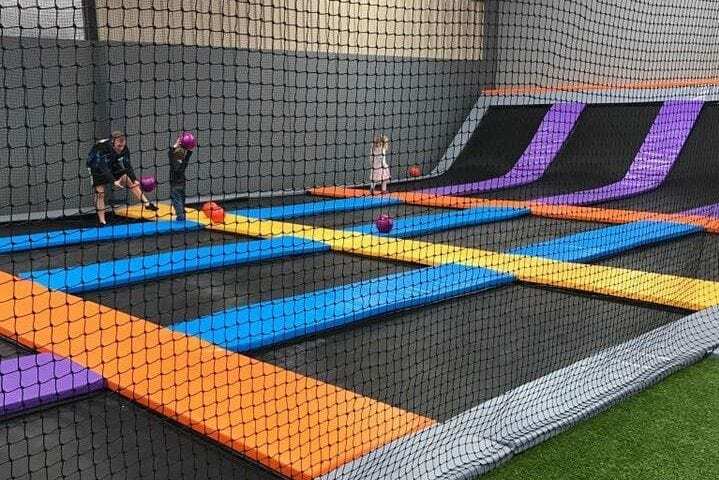 There is also a section called slam dunk which consists of 4 trampolines with basket ball hoops ready for you to get a bit air as you slam dunk the ball. 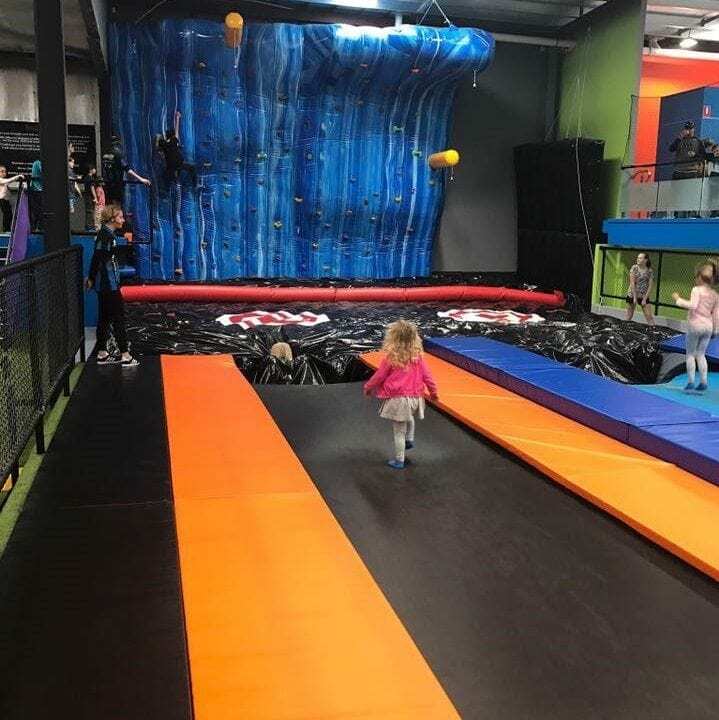 The final area has huge air bags at the end of a trampoline run where X marks the spot as you launch yourself off the trampolines onto the air bags or scramble up them if you don’t quite make it! Attached to this area is the boulder dash climbing wall. 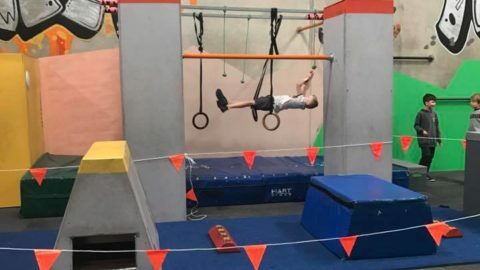 Challenge yourself to climb across the wall, it is graded so you can climb within your limits or push yourself to master new heights and if you don’t make it the air bags are there to land on. There is a cafe and seating area in the viewing platform where you can see the whole arena. 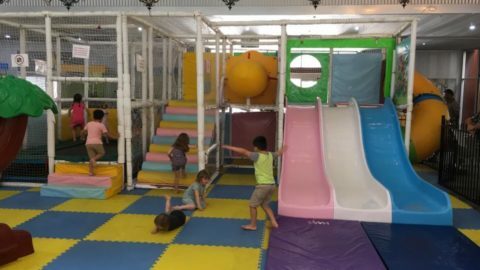 The three party rooms are also situated on this level. On the lower level, you will find the toilets and secure lockers. There is an accessibility lift for wheelchairs and prams, as well as baby change facilities in the arena. 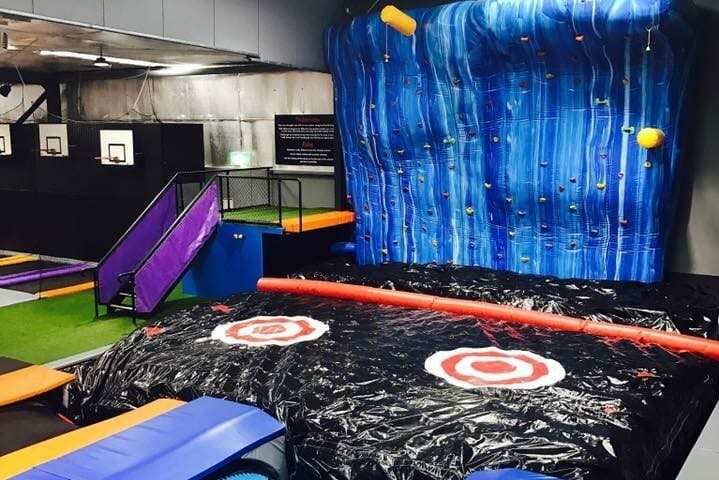 The trampoline park opened in May 2017 and is proving to be very popular especially in the school holidays, sessions can be booked and paid for online ensuring you get the time and day you are looking for. 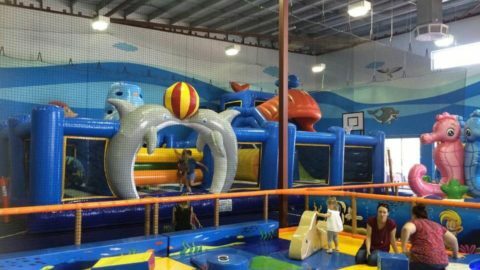 You can also purchase gift vouchers, book onto a midweek fitness session ($15) and find information about birthday parties, team building sessions, sporting or school groups. 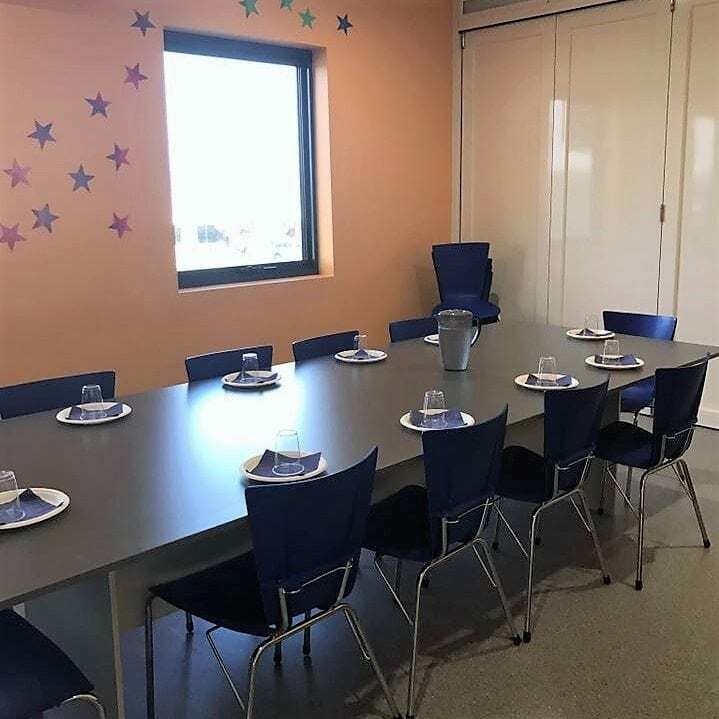 The cost of the sessions at Rebound Port Kennedy vary depending on which session you book and all sessions start and finish on the hour. A peak session is $17, off peak is $14 or a junior jumper session is $12. Book a junior jumper’s session if you are taking children under 110cm, make sure you check when these sessions are. 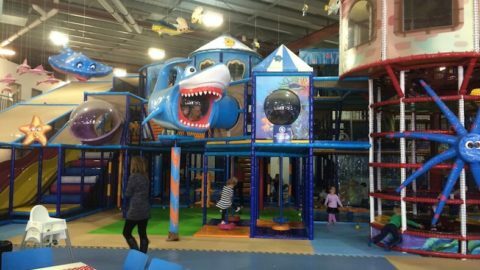 You will need to sign a waiver on arrival this covers a single session or you can complete a 12-month waiver online before you arrive or you can use the iPads on the reception desk. 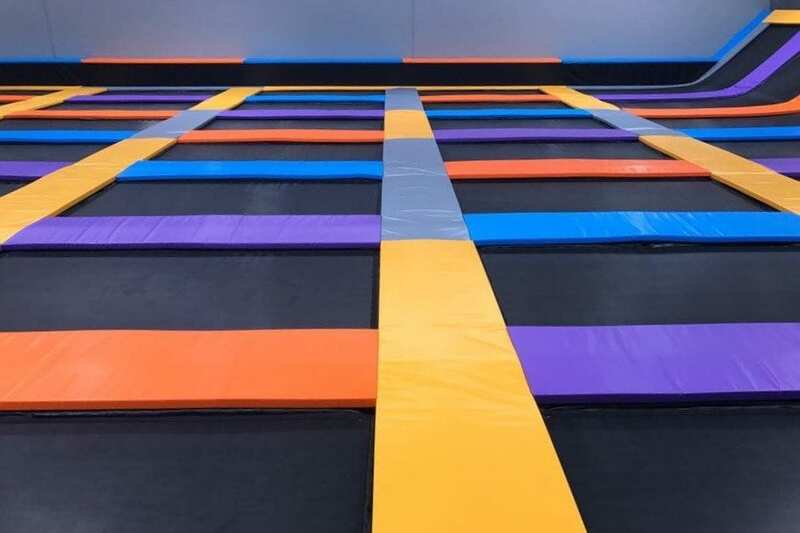 You will need to purchase the stylish rebound grip socks on before you hit the trampolines, they cost $2 and can be used time and time again.